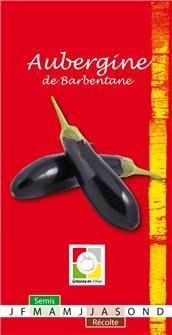 Extremely fast growing Barbentane aubergine seeds: very productive, suitable for regions where the summers are not too hot. Early blooming variety. 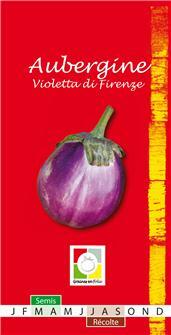 Packet weighing 0.25 g.
Violetta di firenze aubergine seeds. This fruit is quite big and heavy and is purple in colour. The meat is tender and tasty. An essential ingredient in a good ratatouille. Packet weighing 0.25 g.